Officially licensed designs now available on Avery Designer Collection of Binders, Dividers and more. 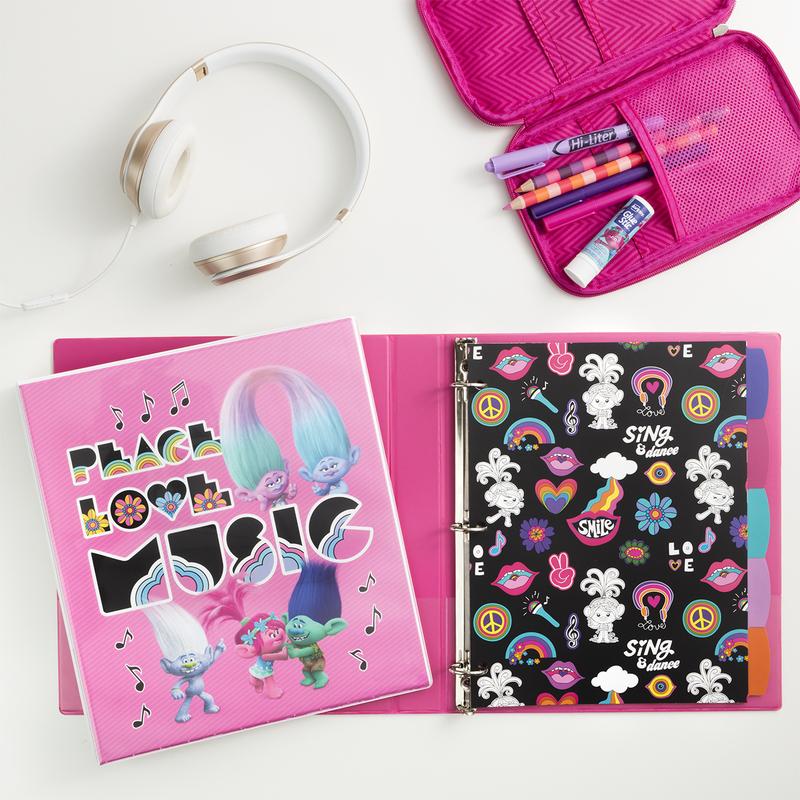 Avery Products Corporation, a leading manufacturer of school and office supplies, including binders, dividers, highlighters, labels and more, announced their newest collection of organization products with designs featuring the DreamWorks Trolls. The products are available on avery.com and amazon.com, and for a limited time, consumers can take advantage of Amazon Prime Day deals and get 30% off these Durable View Fashion Binders from July 16th – 17th on Amazon. To learn more about these products and to purchase items, visit the DreamWorks Trolls page on avery.com and amazon.com. Avery and all other Avery brands, product names and codes are trademarks of CCL Industries, Inc. All other company and product names may be trademarks or service marks of their respective owners. Universal Brand Development globally drives expansion of the company’s intellectual properties, franchises, characters and stories through innovative physical and digital products, content and consumer experiences. Along with franchise brand management, Universal Brand Development’s core businesses include Consumer Products, Games and Digital Platforms, and Live Entertainment based on the company’s extensive portfolio of intellectual properties created by Universal Pictures, Illumination Entertainment, DreamWorks Animation, and NBCUniversal cable and television. Universal Brand Development is a business segment of Universal Filmed Entertainment Group, and part of NBCUniversal, a subsidiary of Comcast Corporation. Visit universalbranddevelopment.com for more information.